Smart homes and connected devices seem to be everywhere. You can hardly read the news without a new connected device making headlines, and for good reason. Connected devices in your home are more efficient so they can save you money. They monitor your appliances and electronics in real time so you know when something might break before it goes out, and they help keep your family and your home safe. While smart home devices may seem prevalent now, only 1 in 10 homeowners own a connected home device (Business Insider). That number is expected to skyrocket in the next few years though, so now is the time to start building your own smart home. For those looking to dip their toe into the connected home universe, the WeMo Switch by Belkin is a great place to start. Setting up this device couldn’t be easier, you essentially plug it into a wall outlet and you’re good to go. From there, whatever you plug into the WeMo is instantly controllable from your smartphone. Use it to operate a lamp, your coffee maker, the stereo, the options are endless. And at just $50 it’s an affordable starting place to build your smart home. If you’re looking for something a little more robust, a smart home starter kit might be your best option. Home Depot offers several bundled options depending on what you want to automate in your house. For example, for almost $500 you can get the Wink Home Automation Bundlewith a Nest thermostat and Kwikset door lock. If you’re not in the market for a smart lock, the Wink also offers a cheaper bundle with a Honeywell Wi-Fi thermostat and Kidde Smoke and CO alarm for just $300. If you really want to go big, their most robust option includes the Wink HUB, Relay Smart Home Controller, a Nest thermostat and the Leviton outlet. This option is almost $600 and will automate several parts of your home, resulting in major time and cost savings for you. 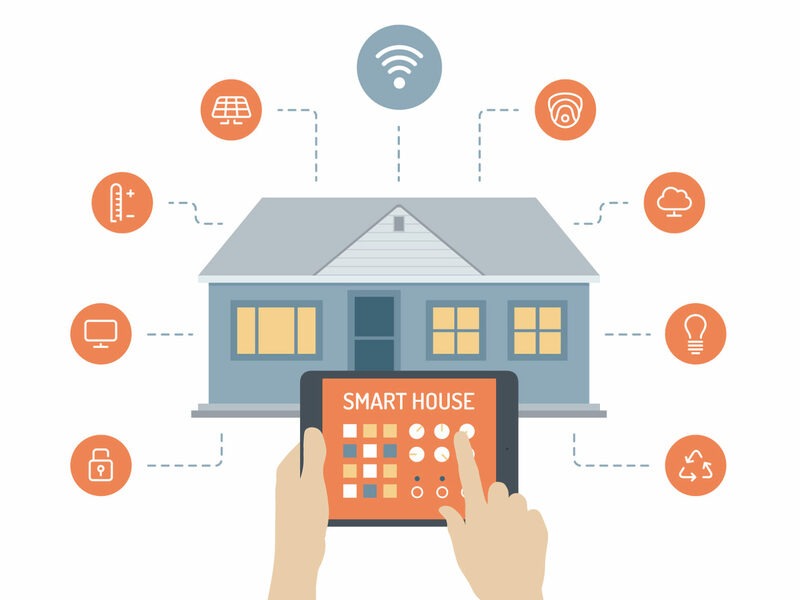 Do you have a smart home? What are your favorite connected devices?